Welcome to A-Plan, Wilmslow, your nearest branch. 9-11 Rex Buildings, Alderley Road, Wilmslow, SK9 1NZ mile away. 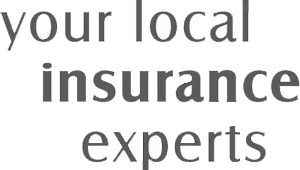 As your local insurance broker, A-Plan Wilmslow has been serving clients in your area since 2013. We have specialist facilities for private car, home & contents and commercial vehicle insurance. In addition to the above we also have access to specialist insurer schemes for high profile individuals such as professional footballers and people associated with the entertainment industry. As a branch we have sponsored the highly successful Wilmslow Motor Show and have supported the Wilmslow Music Festival. We also sponsor Velocity Racing (Wilmslow based cycle team) and Moto GP rider Sam West. We support Seashell trust too, where we donate £25 per policy. Your Wilmslow Branch Manager. Get the right cover at a great price! Put our local team to the test to see how we can help you.